There are three fabled roles that slipped away from the veteran actor but continue to have everyone wondering. In a long and checkered career and a longer and more eventful a life, there is perhaps precious little that Dilip Kumar didn't achieve. But the thing with expectations and promises, like Marcel Proust once mused, is that we never find a dancer's leap in the air quite as high as one has been expecting, and so as long as there is a possibility of something happening, there is always something left to happen. Arguably considered to be the first complete actor in India, Dilip sahab, too, left a few promises unfulfilled and relinquished some dreams midstream. As the icon turns 93 today (December 11, 2016), this writer looks back on how the legendary actor's body of work that features a few of the greatest films ever made could have been had a handful of more had he wanted. Amongst the many roles that could have been Dilip Kumar's, there are three fabled ones that slipped away and yet continue to make fans, followers, and commentators of Hindi cinema wonder what'd have happened had these materialised. Guru Dutt originally wanted the tragedy king to feature as Pyaasa's (1957) Vijay, the luckless poet who becomes an overnight sensation when mistaken to be dead. Dilip sahab felt that the role of the anguished poet who faces rejection from all quarters and whose artistic efforts are accidentally discovered was almost an extension of his doomed lover in Devdas (1955). Dutt was convinced that he wouldn't be good enough to play the lead and some also say that he had managed to convince the thespian to step in. There is a pervading sense of doom attached to both Devdas and Vijay but the latter is a far more nuanced role and this writer feels had Dilip sahab played Vijay the spotlight would have been solely on the character and not how the character interacted or responded to the world surrounding him, which separates Pyaasa from Devdas. Similarly, Dilip Kumar was also Raj Kapoor's original choice to play Gopal in Sangam (1964) but even after Kapoor gave him the freedom to choose either his or the role that eventually Rajendra Kumar played, Dilip Kumar walked away. The two had previously worked in Andaz (1949) and it was rumoured that Dilip Kumar felt shortchanged when he saw the final product. 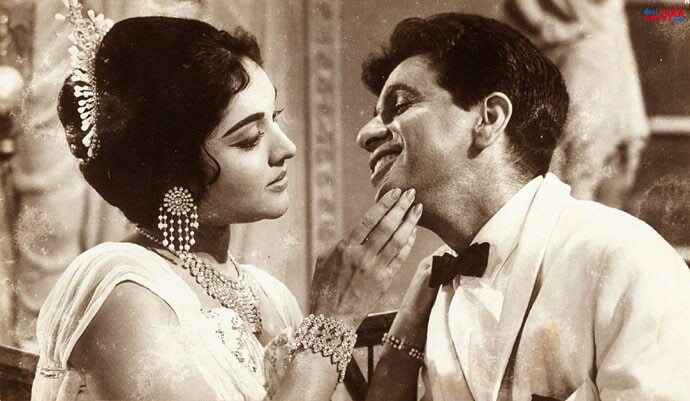 It would have been interesting to see Dilip Kumar play Sundar, the husband, who doubts his best friend Gopal (Rajendra Kumar) and his wife (Vyjayanthimala) of being lovers, and Raj Kapoor as Gopal as such a reversal of roles would have perhaps nudged the actors out of their comfort zones. The one that role which Dilip Kumar passed that continues to be most talked about is that which made Omar Sharif a global superstar. David Lean had wanted Dilip Kumar to play Prince Ali in Lawrence of Arabia (1962) but he refused the offer thinking that he would be an outsider in the set up. To think that the entry of Prince Ali in the film, which has on some polls been voted as one of the greatest moments in cinematic history, could have featured Dilip Kumar but for him unwilling to explore new worlds... still leaves cinema buffs startled. Also, before he played father to Amitabh Bachchan in Shakti (1982), BR Chopra had planned what eventually became Baghban (2003) with the thespian and while it was shelved even before it started, there was another instance where he played onscreen papa to actors from two different generations. Nasir Husain had cast Dilip sahab as the father along with Dharmendra and Rishi Kapoor as his sons in what was to be the mother of all lost-and-found films. But the film Zabardast never got completed as both Husain and the actor found each other's working styles to be too different. 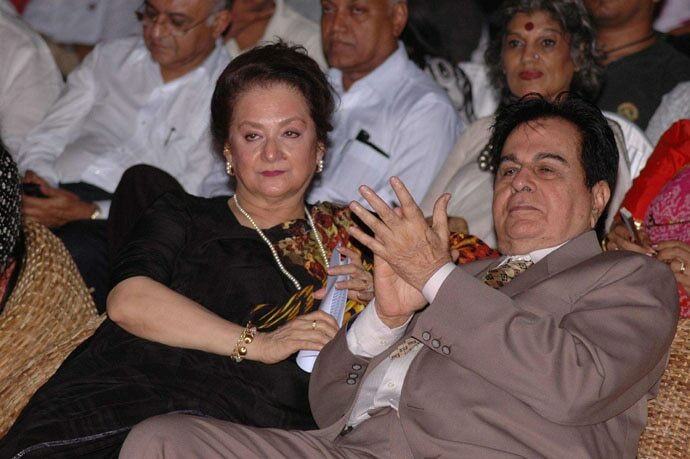 Dilip Kumar with wife Saira Banu. Another big dream that Dilip Kumar gave up on was to direct a film. In the 1990s producer Sudhakar Bokade, who had produced Izzatdaar (1990) with Govinda and Dilip Kumar in the lead and later went on to produce Saajan (1991), signed on the thespian to act and direct Kalinga. Although credited to Nitin Bose, it was public knowledge that Dilip sahab had, in fact, directed Ganga Jumna (1961) and even some portions of Ram Aur Shyam (1967) but Kalinga was supposed to be official debut as a director. The family drama that featured Raj Babbar and Raj Kiran as his sons went over budget and Bokade, who cited the perfectionist within the thespian as the reason for the project going awry on all fronts finally pulled the plug. But more than the missed opportunities, which almost every great actor has, or the chance to direct a film the one thing that Dilip Kumar missed out was on the chance for a great swansong. Barely anyone recalls the thespian's last outing in a film called Qilla (1998) that featured him in a double-role as an evil landlord Jagannath Singh and his twin judge Amarnath Singh, who is left to solve the murder of his brother. The film also featured Rekha and Mukul Dev but is far from anything that would be even halfway acceptable in terms of the last time Dilip Kumar faced the camera. JP Dutta had planned to cast him as Bahadur Shah Zafar in Akhri Mughal, partially based on an unfinished Kamal Amrohi script, with the then debutant Abhishek Bachchan but after a few false starts opted to make Refugee instead. Had we not expected the heavens from Dilip Kumar, we would have been overjoyed at his legacy but the thing with expectations is that they are bound to fall short the moment they come into play.